The natural resources of Western Sahara are a key element in the conflict, allowing Morocco and other countries to benefit from its occupation.  Morocco and the EU steal fish, and phosphates from the Western Sahara.  Moroccan companies grow tomatoes in Western Sahara to export to UK supermarkets.  Morocco sells sand from the Sahara for tourist beaches on The Canary Islands.  The profits from this illegal activity are helping to strengthen the occupation. 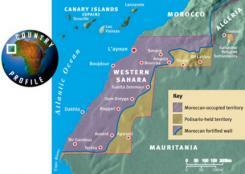  To stop this illegal trade the Western Sahara Campaign is taking legal action. Please give what you can to help our legal challenge. You can find information about other ways to donate and how your donation will be spent here. The Western Sahara Campaign has taken the UK government to court for treating products from the Western Sahara as Moroccan. Our lawyers, Leigh Day, were successful and our case was referred to the Court of Justice of the European Union. We expect a final ruling on 27 February 2018, an important day in the history of Western Sahara. You can read the background to this issue here. You can read the full Witness Statements here. The WSC works in solidarity with the Saharawi people. Support us in our legal challenge to defend their rights.